Cleaning your throw rugs will depend on size, fabric content, and manufacturer's recommendations. Many throw rugs, unless labeled otherwise, can be washed. 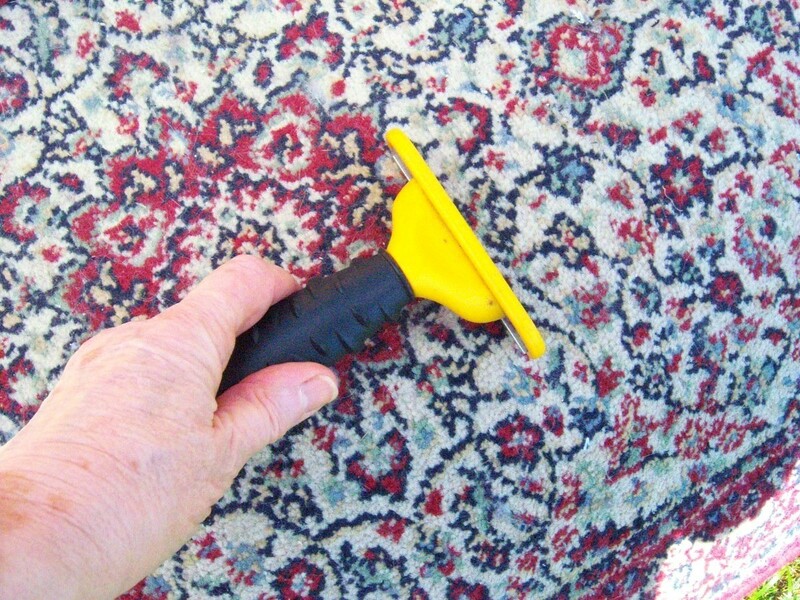 This is a guide about cleaning throw rugs. 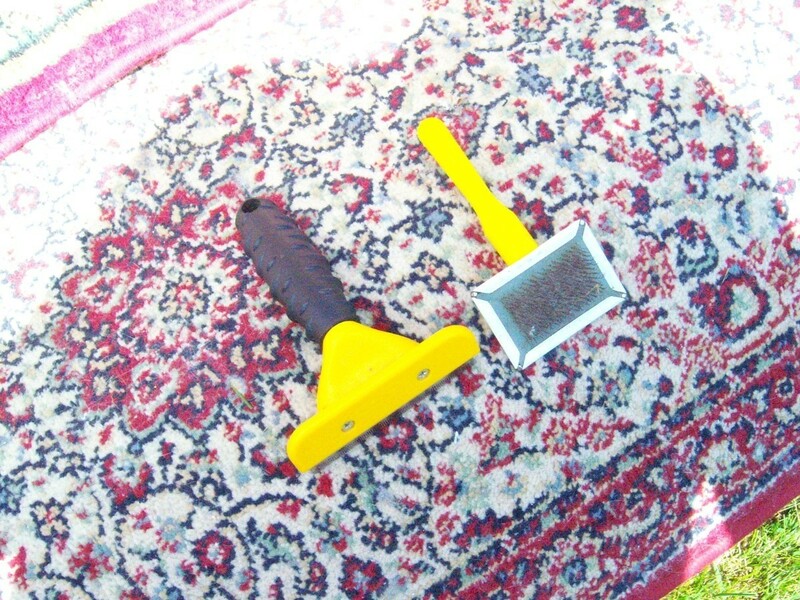 On a whim I thought I'd try to comb my little rug carpets using my pet brushes. One is the "Furminator" pet brush and another just a cheap little wire pet comb/brush. Both worked great! I placed the rugs outside on a flat surface and just combed it. Lots of hair I didn't even see came out and the rug's nap came up nicely too! I didn't pull out any rug fiber either! I never thought to do before, but will definitely do again! I found out by accident the best way to clean my old throw rugs. I washed them and hung them on the clothesline outside. Then it rained, and rained and rained. To my surprise, they were cleaner then when I first hung them out. No more machine washing of rugs for me, now I just hang them out on the line when I hear it's going to rain. I have washed bathroom rugs in my washer, but I am scared to dry them in dryer. Is it safe to dry it in dryer? It takes days together to dry completely if dried in the sun. I really need some help. Does anyone know about this? If the mat has a rubber backing, I wash it in the washer in my first load. I lay it on top of the dryer while all loads are drying, and find it dries very well. Lay it rubber side up, as the coating can get brittle and flake if it gets too much heat. I always dry mine in the dryer on low. However they should have a label telling you how to wash and dry. If they say no dryer than I wouldn't. I wash mine in washer and then hang on door of laundry room or on shower curtain in laundry room. Heat from dryer drying other loads helps. I have a wooden clothes drying rack for things like rugs and other items that can't be dryer dried. When the weather is not good for line drying, the items go on the rack. They'll be dried by the next morning. I don't like drying rugs in my dryer. It breaks down the backing too much. Hope this helps. Help I dried a rubber backed rug in my 1 day old brand new Whirlpool dryer. There are rubber crumbs down inside where the lint trap goes. Should I vaccum it out ? How can I tell if the crumbs went anywhere else? Can a 6x8 foot throw rug go in a front load washer? That isn't a throw rug, it is an area rug. I really don't think it will fit, because of the nature of the rug. What I would do is get some of that foam type rug cleaner and clean it with that. I have a crochet rag rug that I made and it is 6 ft by 8 ft. I believe I could get my rug in a very large commercial front load machine ... at least I sure hope so. It will be needing to be cleaned soon, but I don't think a firm backed area rug would work in the big washers. How do I clean the white on a small rug? The dirt is from normal walking on it. Use shaving cream and a scrub brush to do spot cleaning. I was wondering if anyone could tell me how I can clean a throw rug so the rubber backing doesn't come off? I have found that the dryer is what ruins the backing. If you can wash the rug (2 small ones will keep your washer balanced) and lay it out on a driveway or over a deck railing to dry, they should be fine. Rugs, attached to the clothes line, have been beaten to remove dirt long before modern-day washers were invented. Good advice, camo. I agree with everyone's comments about the dryer, it is a killer. But I wanted to add that I lay my rug over my ironing board with the rubber backing side up. It usually drys over night.